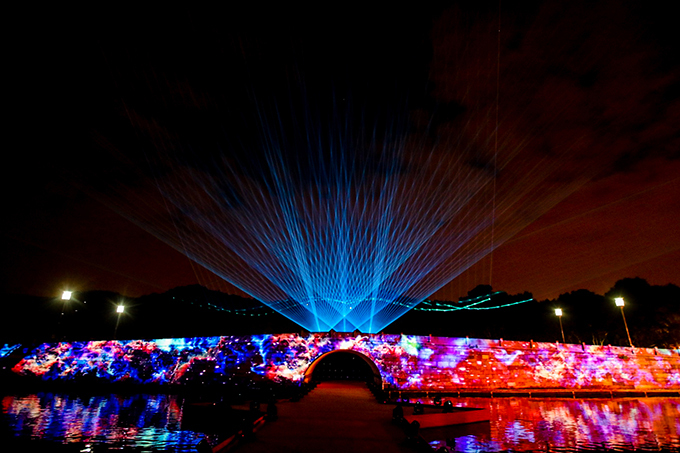 Taobao Maker Festival hosted the first-of-its-kind fashion show on West Lake's Broken Bridge. The show was both a celebration of creativity and design, as well as a demonstration of cutting-edge technology by Alibaba. Hangzhou, China, September 17, 2018 - Twenty of China's top independent designers showcased their latest collections in an unprecedented fashion show at this year's Taobao Maker Festival. 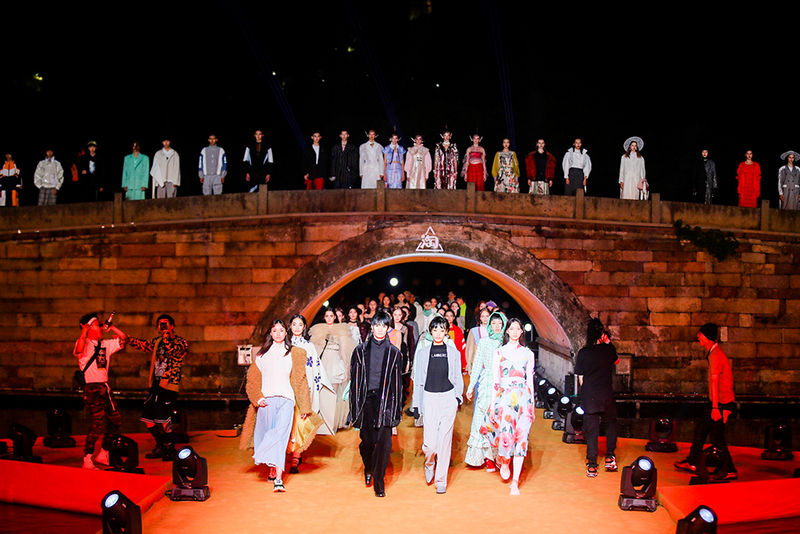 The show, which saw West Lake's Broken Bridge serve as a catwalk for models, was both a celebration of creativity and design, as well as a demonstration of cutting-edge technology, using Alibaba's successful "See Now, Buy Now" format. It featured collections that offered a chic and modern twist on traditional Chinese culture and was live-broadcasted on Youku and the Taobao app. Specially designed for the Taobao Maker Festival, the collections made bold statements from young designers seeking to re-interpret Chinese culture in the age of mobile Internet. The collections demonstrated respect for Chinese heritage, with traditional art pieces and symbols incorporated in the designs. At the same time, they showed off colorful and modern tweaks tailored to the tastes of Chinese millennials. Among the twenty designers, Liu Qingyang, who is famous for her Chinese prints, infused classic elements from the East with an artistic sense. Li Kun, champion of a recent CCTV fashion design variety show, extracted symbols of Chinese history and culture and presented them in a new, minimalist way. Li Wei, whose designs are popular among young Chinese celebrities, used soft and romantic colors to create an elegant ballet fairy image. Muzkin, a fashion brand known for a modern touch applied to Chinese style, created a collection centered around fictional character, Nezha, bringing the traditional Chinese myth to life. These collections will continue to be available on the Taobao platform. Our statistics indicate that original designs enjoy a 4.3-times price-premium over mass productions, and the customer base for designer items is expanding. In the fourth quarter of 2017 alone, "original design" appeared 170 million times in keyword searches on Taobao. "Young people in China are very cosmopolitan. They are forward-thinking, while maintaining their love for the richness of Chinese history. At the moment we are experiencing a great crossover between West and East, between old and new. This phenomenon has laid a strong foundation for creativity in China, and it is shifting more into the mainstream. The introduction of this new type of fashion show at Taobao Maker Festival is a testimony to the shift underway from 'Made in China' to 'Created in China,'" said Chris Tung, Chief Marketing Officer of Alibaba Group. The show underscored Alibaba's commitment to foster young Chinese talent. Alibaba has rolled out a series of initiatives aimed at cultivating homegrown designers, catering to young consumers' growing appetite for brands that are different and offbeat. Most recently, Alibaba's B2C shopping site, Tmall, brought three designer labels to debut their spring-summer 2019 collections at New York Fashion Week. With its growing popularity among Chinese millennials, Taobao has emerged as the leading platform empowering young talent to demonstrate their innovations and creative ideas. The "2018 Chinese Youth Creativity Report" released by Taobao and CBNData during Taobao Maker Festival shows more than two million of youngsters born after 1990 have already launched their businesses on Taobao. In the last year, this generation has launched 700,000 shops on the platform. According to the research report, Guangdong, Zhejiang and Jiangsu are the three provinces with the highest number of shops opened by the post-90s generation. Guizhou, Ningxia, Hainan, Tibet and Yunnan are the top five provinces with the highest ratio of young entrepreneurs on Taobao. Fashion, furniture design, smart technology and stationary are among top categories of Chinese youth's news businesses on Taobao. Alibaba launched the Taobao Maker Festival in 2016 and it has quickly become a must-attend event for China's designers, creators and craftsmen to showcase their products and innovations. More than 200 shop owners exhibited at the Taobao Maker Festival from September 13-16 this year. Launched in 2003, Taobao Marketplace (www.taobao.com) is a social commerce platform that allows consumers to enjoy an engaging, personalized shopping experience, optimized by big-data analytics. Through highly relevant and engaging content, as well as real-time updates from merchants, consumers can learn about products and new trends at the same time as interacting with each other and their favorite merchants and brands. Merchants on Taobao Marketplace are primarily individuals and small businesses. According to Analysys, Taobao Marketplace was China's largest mobile commerce destination in terms of gross merchandise value in 2017. Taobao Marketplace is a business of Alibaba Group.